Leo’s bad tech karma continues as he buys an already outdated camera for his daughter… and Alex is really Ben. Alix Lindsay chimes in with his pick from Audible.com – Collapse: How Societies Choose to Fail or Succeed . 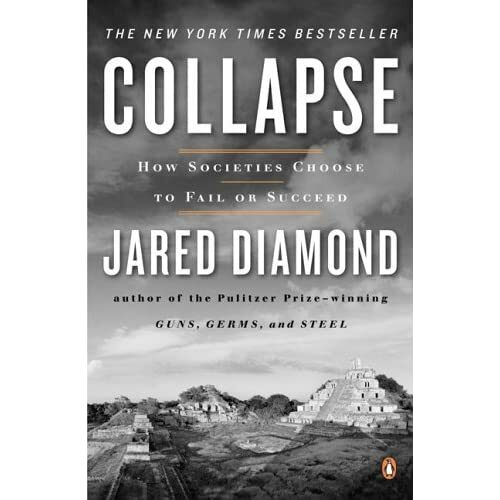 Jared Diamond’s Collapse: How Societies Choose to Fail or Succeed is the glass-half-empty follow-up to his Pulitzer Prize-winning Guns, Germs, and Steel. While Guns, Germs, and Steel explained the geographic and environmental reasons why some human populations have flourished, Collapse uses the same factors to examine why ancient societies, including the Anasazi of the American Southwest and the Viking colonies of Greenland, as well as modern ones such as Rwanda, have fallen apart. MM quickly chimed in with “Get Leaflets.” These are a collection of apps that will work on your iPhone. Note – that’s YOUR iPhone, because I don’t have one. 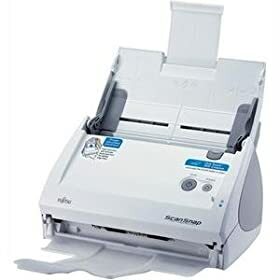 That wasn’t his official pick – the “real” one is… 1/20th of an Alex – he bought the Fujitsu ScanSnap 500M – a superfast scanner. But this is still not his pick. His real pick is… YEP (http://yepthat.com) – an iTunes interface for PDFs. Phew – took awhile to get there. At $34, Leo thought it was expensive, but Merlin thinks it may pay off. We’ll stay tuned. And then he mentioned Devon Think Pro but then Scott got uneasy because Merlin was on his fourth item. Why was Scott so snippy about Merlin going long? Because his pick was the iPhone. Lame. He probably thought that was going to be a big hit – but he was wrong. Whaaa Waaaa. Then he wanted something called goffice which runs on his iPhone. For the first time it is possible for those wanting to learn about match moving or experiment with matching computer graphics to video footage, to use cutting edge tools without price tag to match. PFHoe is designed to work with standard resolution QuickTime and AVI movies and allow you to quickly track them to produce 3D camera information that can be exported to your favourite 3D system or effects package. PFHoe is a perfect introduction to camera tracking for video hobbyists and professionals alike. With Wizards to guide you though importing and setting up shots and a simple step-by-step workflow learning tracking couldn’t be easier. PFHoe is built on the same market leading technology as our professional applications and features unique technologies such as automatic lens distortion correction.